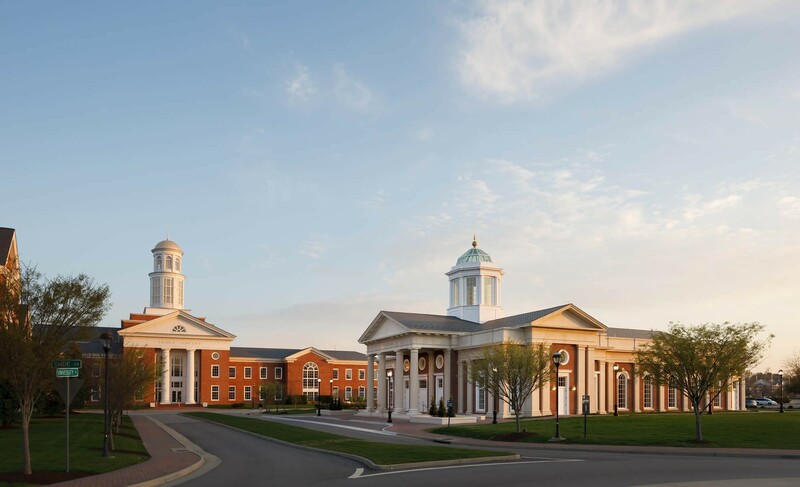 THE POPE CHAPEL for Christopher Newport University (CNU) was designed and programmed to encourage religious unity and freedom of worship, welcoming people of diverse beliefs by providing a place for meditation and prayer, worship, and meetings. There is a main assembly room and two seminar rooms. 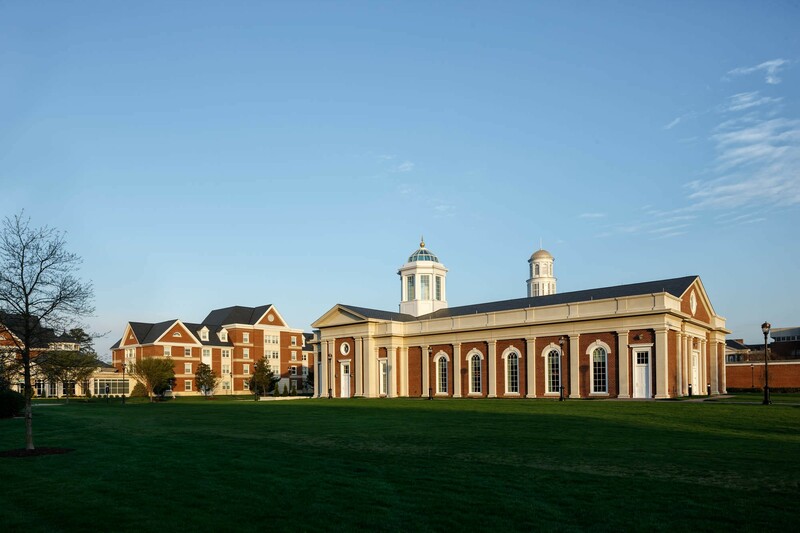 The close proximity of the Chapel to the new David Student Union, the Freeman Center, and the Trible Library make this facility convenient for most students, faculty and staff. The Chapel is executed in the established campus Neo-Georgian style and scale, employing proportional façades with pavilions demarking primary entry. 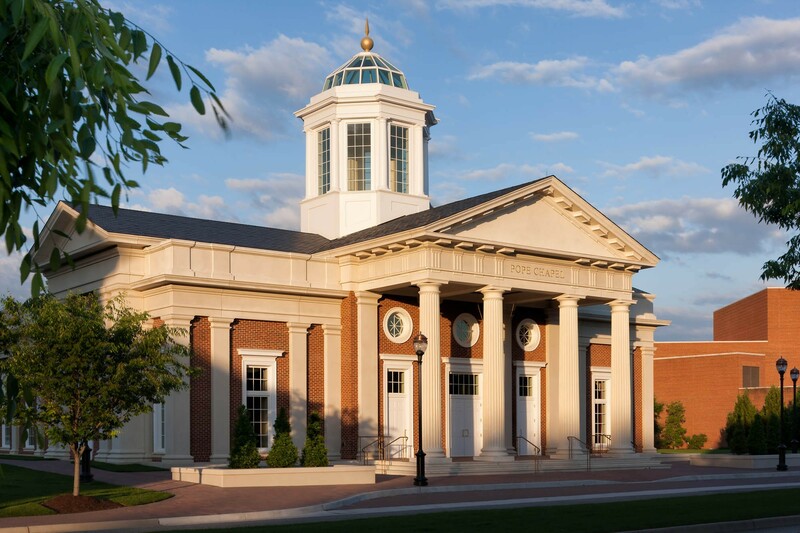 The standard campus brick is used with Doric columns, pilasters, cornice work, and pediments of precast concrete. The dominant use of precast throughout the building lends elegance to the one-story building. 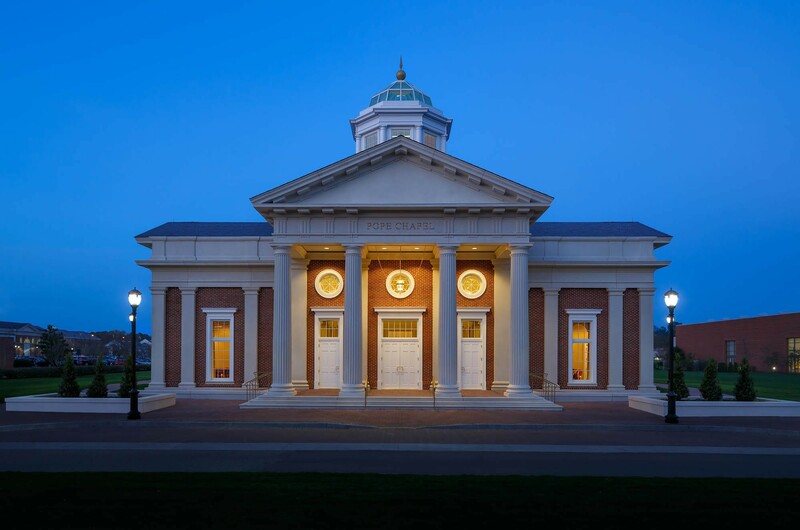 One of the primary features of the building is the main entry portico, which is rendered with one-story fluted Doric columns and a full triglyph and metope pediment. The central lobby, a vast one-and-a-half-story space at the main entry, serves as a gathering space and welcomes visitors into the building. 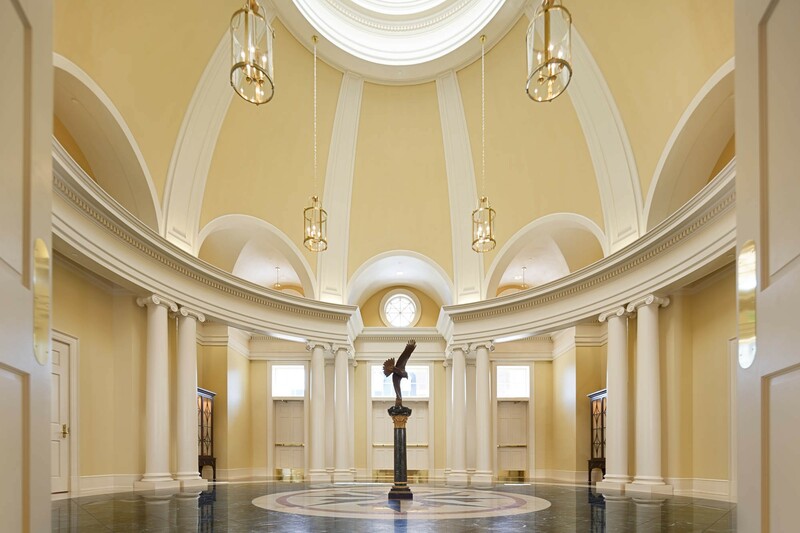 This essential space is framed by paired iconic columns opening up to a paneled arched dome with an oculus that showcases the central cupola. 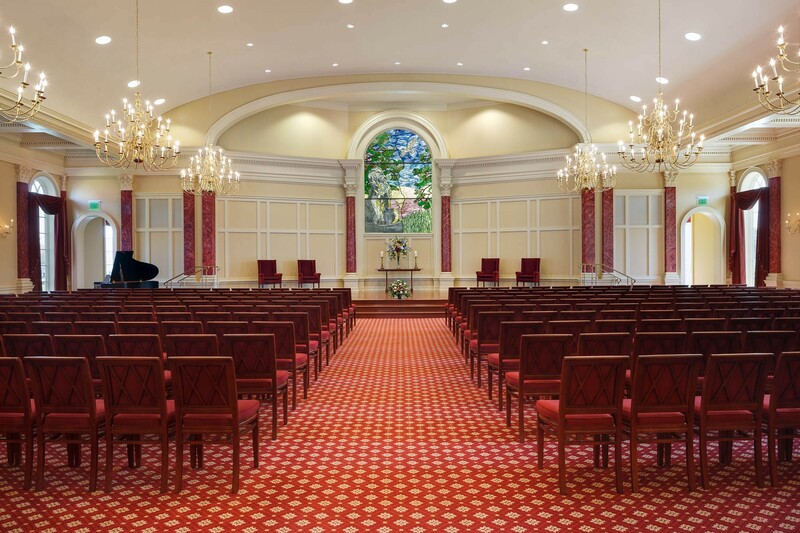 Celebration Hall, a large 325-seat assembly space, is centered on axis from the lobby, and is flanked on both sides by Corinthian columns and pilasters. Two additional seminar rooms allow the building to be used for meetings, weddings, and a variety of assembly uses.